Best in Game (BiG) Casino is one of the first gaming companies in Italy that has been transferred under the administration of Autonomous Administration of State Monopolies (AAMS). The said regulatory company has provided Big Casino its license to legally operate. Since then, the Best in Game company has started to deliver innovative games for its patriots. The target market of this gaming site is the Italian players. Thus, the primary language being used in the company's website is Italian too. This gaming site does not stick with a sole software provider. In order to give the best for its customers, BiG has decided to create a pool of amazing games developed by Capecod, Evolution Gaming, Media Live, Net Entertainment, and World Match. BiG is best known for its poker room. The company stands out with its state-of-the-art technology when it comes to pokers. However, the Italian gaming site is not all about poker. It also features the common gambling games such as bingo, lottery, sports book, and many more. 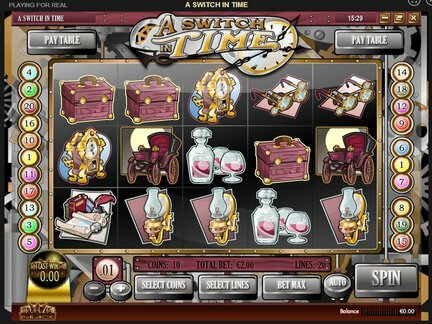 Different variants of common casino games are presented. Three versions of roulette, three versions of blackjacks, four versions of video pokers, and three versions of punto banco are in player's hand to reach. For live actions, players can join a live dealer game. Players can immediately indulge in the available games since download is not necessary to place a bet. There is no need to wait for a few minutes in order to access the high quality games of the website. There is a minimal BiG bonus available in the site. This fact is one of the customer complaints against the company. Other than that, there is no known major issue about the site. It would be fair to give the company a rate of 3 out of 5. Customer support representatives of this gaming site are also commendable for being friendly. Having an accommodating customer service might be one of the reasons why negative feedback against the site is minimal.